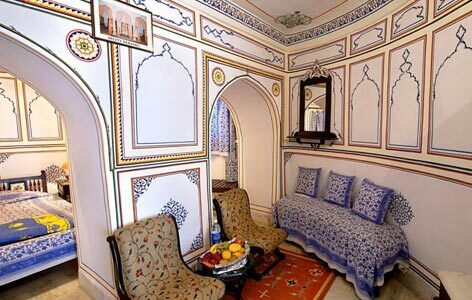 "The heritage hotel 'Fort Pachewar Garh' is situated close to the Pumpa Sagar Lake in the heart of Rajasthan. 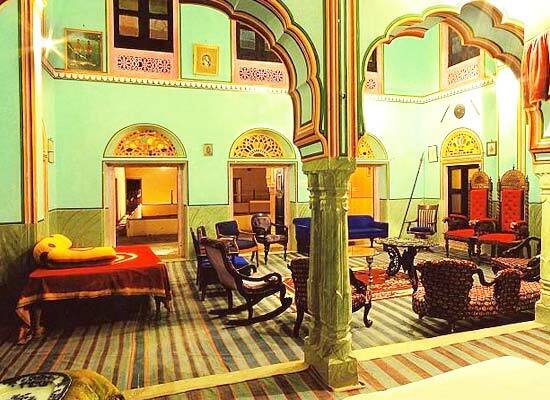 The 350 year old ancestral castle is one of the luxurious heritage hotels in Rajasthan. Settled away from the chaos of the cities, savor the ethnic personality of the royal state. 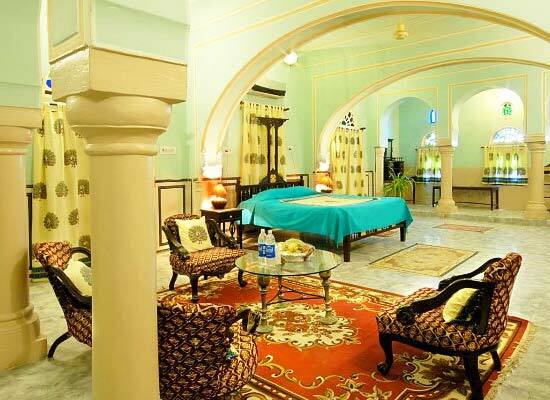 The exquisite architecture of ramparts, intricate balconies and spacious rooms give the feel of the regal days. The antique frescoes adorning the interiors are particularly noteworthy. The rural culture, traditions, customs added with the legendary rich hospitality creates a cherished experience. The surroundings are full of surprises waiting to be discovered. The 350 year old Fort Pachewar has deep roots in the history of former Rajputana. The Pachewar village on which the fort stands is ruled by the Khangarot Rajputs, a sub clan of Kacchawas, the rulers of the erstwhile kingdom of Jaipur. The village lands and the fort was gifted to Thakur Anoop Singh Ji Khangaro tin lieu of his exemplary courage and loyalty to Maharaja Sawai Madhosingh Ji -1 of Jaipur. The fief was rewarded in 1758 A.D. The family continues the legacy and till date owns the fort which now is a charming heritage hotel. 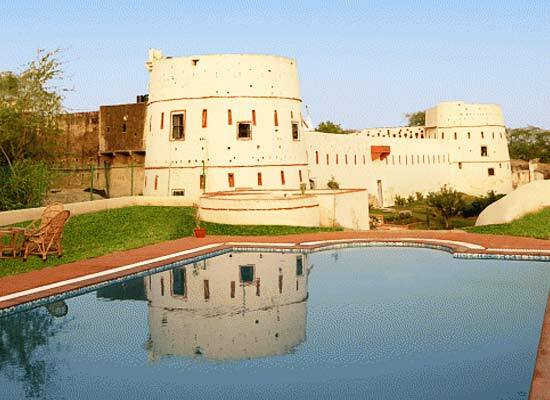 Fort Pachewar Garh is equipped with accommodations of well-furnished 7 suites and 18 deluxe rooms. The spacious rooms retain its charm with the addition of modern amenities. Each room has its own attached bathroom. The rooms open up to the views of lush green lawns, the azure swimming pool, badminton courts. All latest facilities have been properly fitted in rooms for comfort of guests. Fort Pachewar Garh retains its charm even in its dining. Relish the experience of rich hospitality and richer ambiance of Rajasthan in its delicious food. Elaborate breakfast can be enjoyed in the courtyard. The moonlit rooftop is ideal for private candle light dinner. 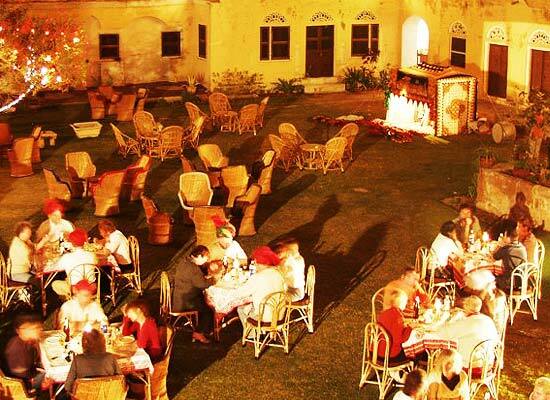 Savor the tastes, aroma and the experience of a traditional Rajasthani dinner. Located 96 kms from Jaipur, the quiet city of Tonk was once under the rule of the Pathan tribe of Afghanistan. Tonk houses the famous Suneri Kothi, also called the Golden Bungalow that is a big attraction to the tourists coming to this place. Tonk is also well-known for its felt and leather industry.